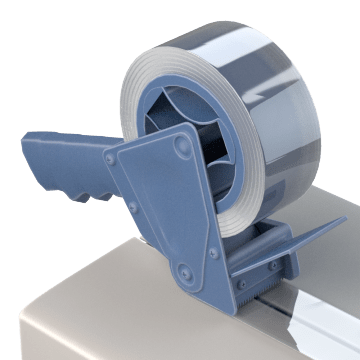 Speed up taping tasks with handheld packaging tape dispensers, which can apply tape to packages faster than would be possible by hand. They let you dispense, cut, and apply tape with one hand and are light enough to carry from box to box for efficient sealing. Each dispenser holds one roll of packaging tape and has a serrated blade for cleanly cutting tape off the roll. 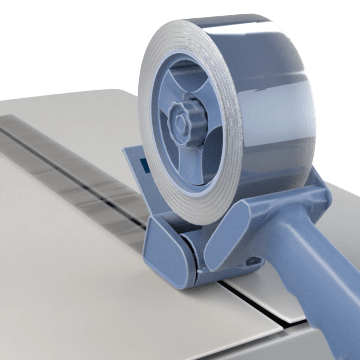 These dispensers are good for repetitive taping tasks on loading docks, production lines, and other packing and shipping areas as well as for sealing moving boxes and packages around the home or office. 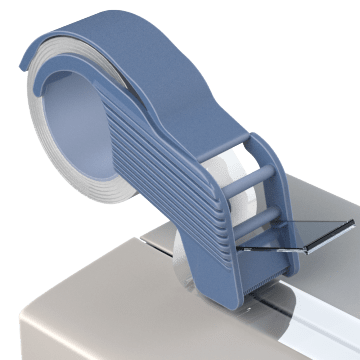 Also known as tape guns, these dispensers have a pistol grip for a comfortable hold that helps you avoid hand fatigue when taping for long periods of time. Create a tight seal on packages with clamshell grip dispensers. They fit into the palm of your hand and let you control the tape tension during application.